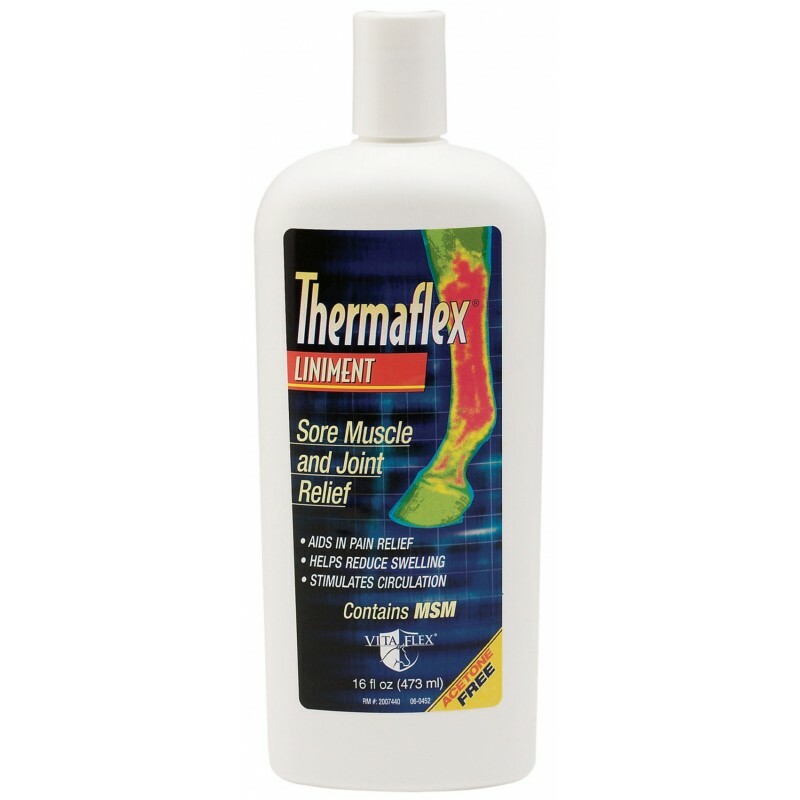 FARNAM – Liniment for muscles & tendons. 354 or 473 ml. 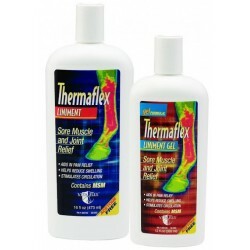 For temporary relief of muscular soreness, stiffness or swelling, caused by exposure, overwork or exertion. The natural extracts in the product will increase the circulation to the application area. 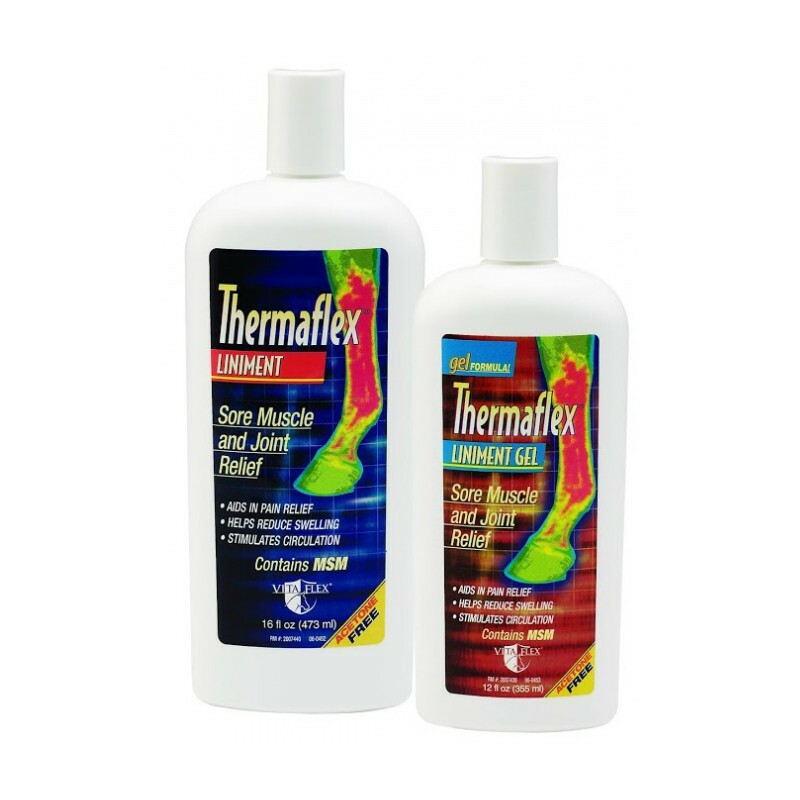 THERMAFLEX helps reduce swelling and aids in pain relief. Do not wrap if applied vigorously. 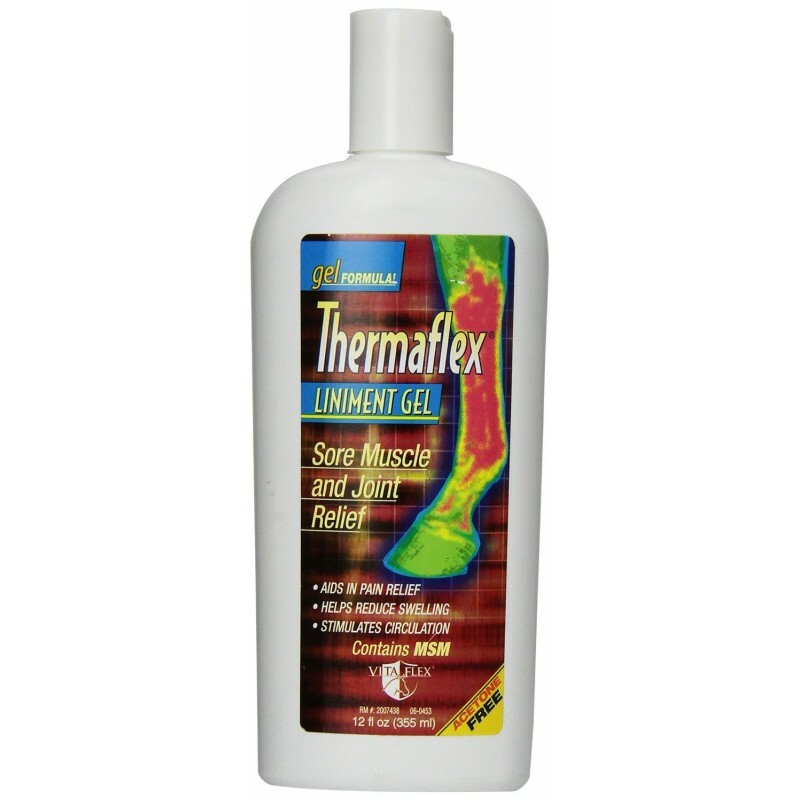 The natural extracts and oils in this product do not require wrapping. Menthol 4.0%, methylsulfonylmethane (MSM),plant extracts of calendula and rosemary, oil of cajuput (melaleucaleucadendron), alcohol, water, preservatives.